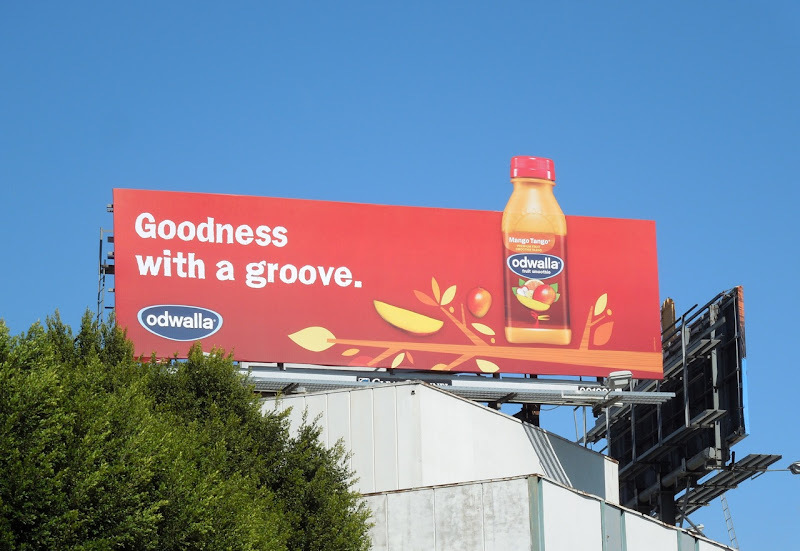 Daily Billboard really likes how Odwalla have harnessed the message that goodness grows (on trees) in their ad campaigns. 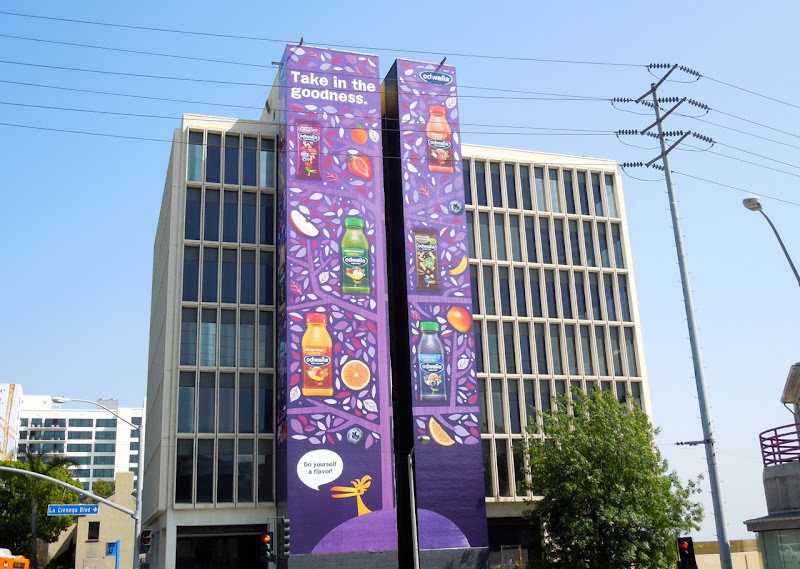 It's a fun and refreshing way of getting across their healthy, natural and environmentally-friendly message, especially in a market swamped with competitor juice, smoothie and health bar products all vying for attention. 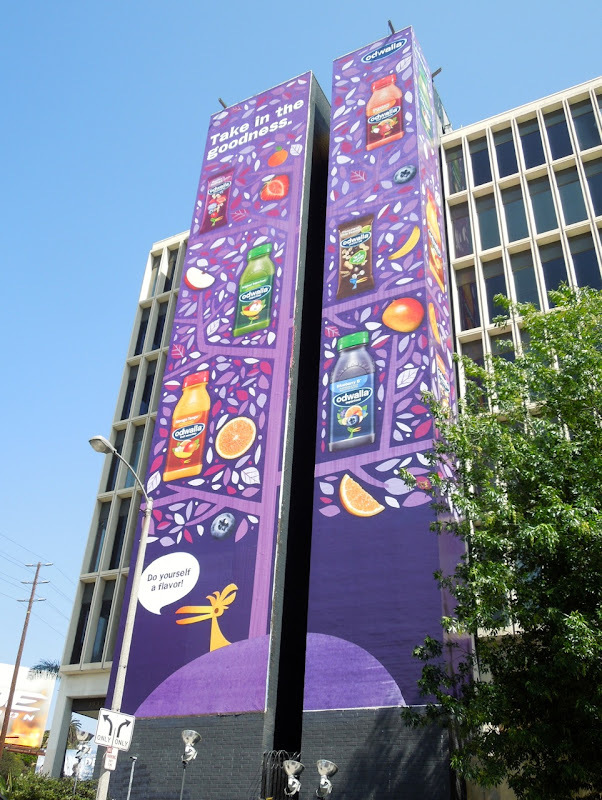 Daily Billboard is always quite partial to a special extension billboard and spied their 'Goodness with a groove' creative sprouting high over Beverly Boulevard on March 9, whilst the tall purple 'Take in the goodness' creatives were spotted at the top of La Cienega Boulevard along Sunset Boulevard on March 22 2013. 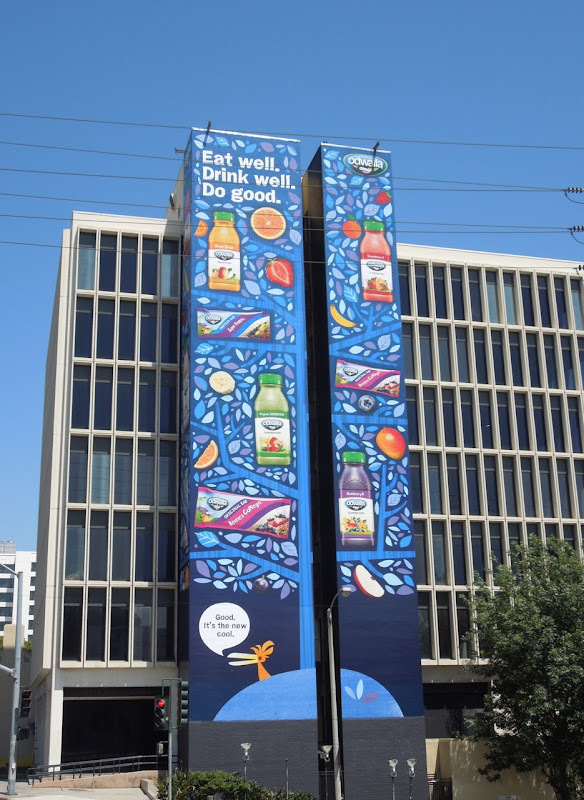 Meanwhile these blue 'Eat well. 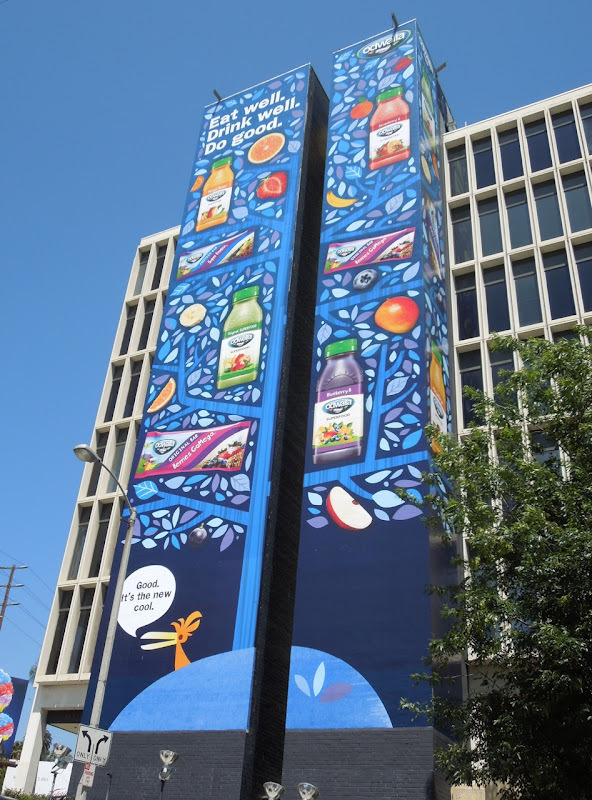 Drink well. 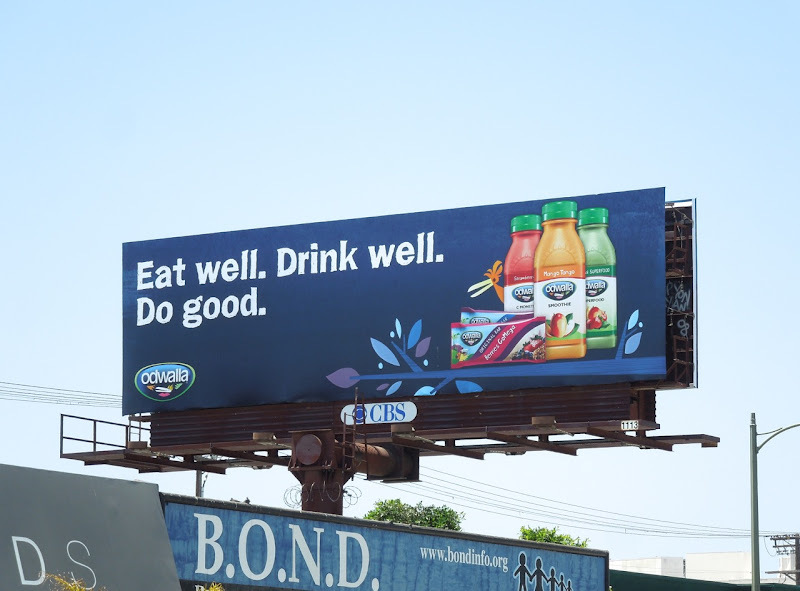 Do good.' 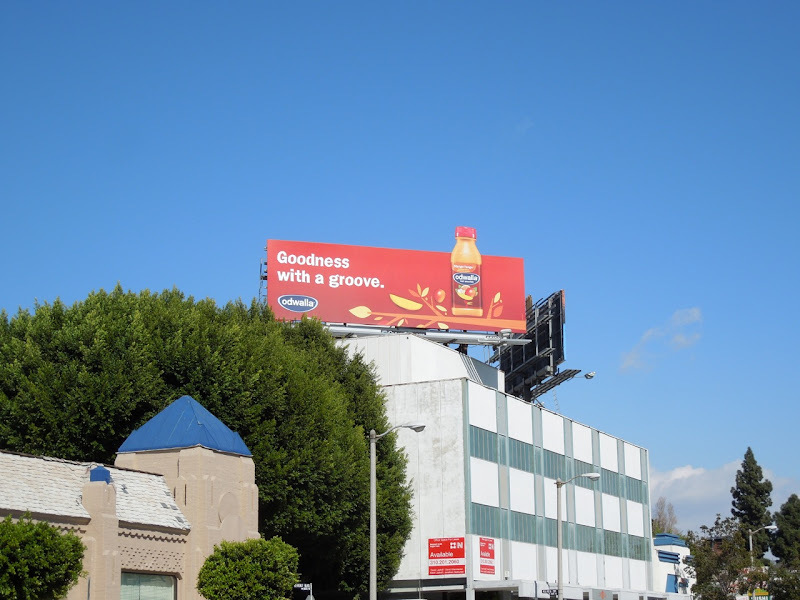 creatives were photographed last May 2012 in the same Sunset Strip location, with the landscape creative snapped along Pico Boulevard. 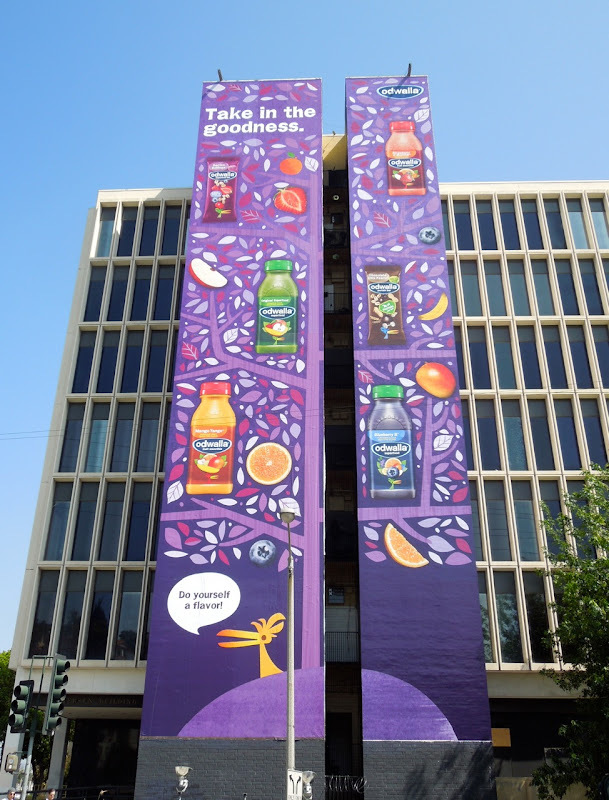 These vibrant and fruity billboards certainly grab your attention, so maybe you'll 'do yourself a flavor' and try one of their products. 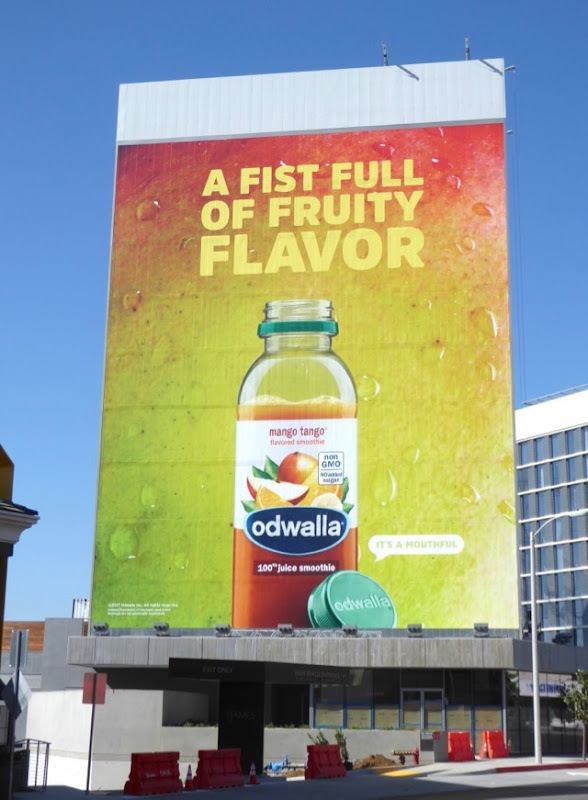 UPDATED: It's been a while since Odwalla has been in the city skyline, but they're back in a big way with this giant-sized billboard snapped along West Hollywood's Sunset Strip on April 20, 2017.